The Leafs dropped a hotly-contested Game Two to the Boston Bruins on Saturday night as the Round One series is now even at one game apiece. 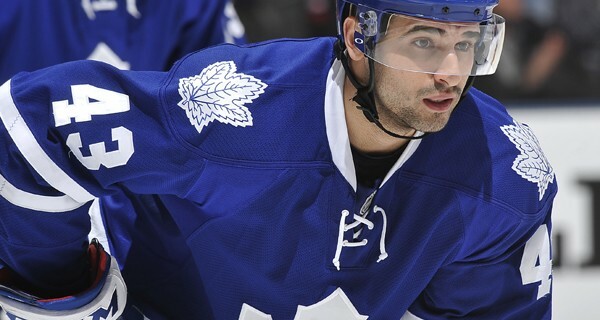 Nazem Kadri was the centre of attention after receiving a major penalty and misconduct for a high stick to Jake DeBrusk in the third period. The incident concluded what was a night of dubious officiating from the referees, despite the Bruins being full measure for their victory. Frederik Andersen was magnificent in net for Toronto, making 37 saves and preventing the game from becoming a blowout. Leafs fans should feel very confident about Andersen’s quality of play, which has already exceeded the level of Toronto’s previous two seasons. Andersen needs to continue to maintain his penchant for making timely, difficult saves, in order for his team to advance. Kadri’s deflection past Tuukka Rask in the third period was the Leafs’ only goal of the game. It also marked the first goal by a Toronto centre in this series with an opposing goalie in the net. The pairing of Jake Muzzin and Nikita Zaitsev had a forgettable opening period, just 48 hours after neutralizing Boston’s top forwards. The Bruins’ first two goals of the opening period were each scored with the duo on the ice; the latter occurring when Muzzin fumbled an attempt to intercept a pass in the neutral zone. Nylander had a horrific giveaway to Danton Heinen in the second period, in a miscommunication attempt to play the puck to Andersen. Heinen capitalized to put Boston up 3-0 at the time. Paging Auston Matthews, who has gone pointless in the first two games of the series and has only one goal and an assist to show for his nine post-season outings in the past two years. While the Leafs didn’t lose because of the officiating, the job done by the four striped zebras was – in a word – horrendous. The amount of missed calls, resulting from an apparent mindset of “let them play” fed into a no-holds barred in-game culture that was dangerous on both sides. Leafs fans can’t help but feel short changed in the following instances: Kadri trying to defend himself from DeBrusk in the first period received an offsetting minor when DeBrusk should have at least received an extra minor; no call on Matt Grzelcyk high-sticking John Tavares; no call on DeBrusk for a dangerous knee-to-knee hit on Kadri coming out of the penalty box. That being said, Kadri is fully responsible for his own actions, and his retaliatory high stick on DeBrusk was selfish. An expected forthcoming suspension will put the Leafs down a centreman; a position that the Leafs aren’t exactly the strongest team on the depth chart, after the big three of Matthews, John Tavares, and Kadri. Remember the 2012 NFL refs strike, when they went with low calibre replacement officials, and players just started taking liberties and it was no-holds barred, and guys kept getting hurt? Yeah tonight’s Game 2 reminded me of that.